Priscilla's $7,500 Winning Venture, "Ekari," aims to change the way that young people think about Africa through the creation of a children's book series. Priscilla’s “Ekari” book series follows the adventures of an 8-year-old girl as she travels around the continent. The story begins in Priscilla’s native Malawi and extends to other countries, offering readers a glimpse of Africa’s diverse foods, music, languages and cultural practices. “We hope that for African children, it will promote dignity,” she wrote in her project brief, “and will allow young African readers to see, as the Nigerian writer Chimamanda Adichie puts it, that they, too, can exist in literature. Priscilla presents the Ekari Book Series at the Smith Prizes in Entrepreneurship Event hosted by the Conway Innovation & Entrepreneurship Center in 2017. With this idea, Priscilla previously won the 2015 Elevator Pitch Contest at Smith, and she was selected to represent the college at a regional elevator pitch contest last spring. Last May, Priscilla’s project was chosen by OZY Media for one of 10 inaugural OZY Genius Awards for innovative projects by undergraduates. The online magazine received hundreds of submissions from around the world for projects in the sciences and humanities. Winners were awarded up to $10,000 to pursue their projects and will participate in an OZY Films documentary chronicling their progress. We are excited to see where Priscilla takes her venture with the prize money from Draper! Stay tuned on our social media pages, as we often post updates on Smith student entrepreneurs, such as Priscilla, as they move forward in developing their ventures. Priscilla graduated form Smith College in 2018 with a degree in African Studies and Women & Gender Studies. 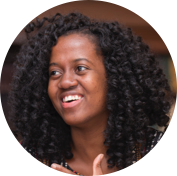 She is currently a Princeton in Africa Fellow and teaches writing and rhetoric to students at the African Leadership Academy.